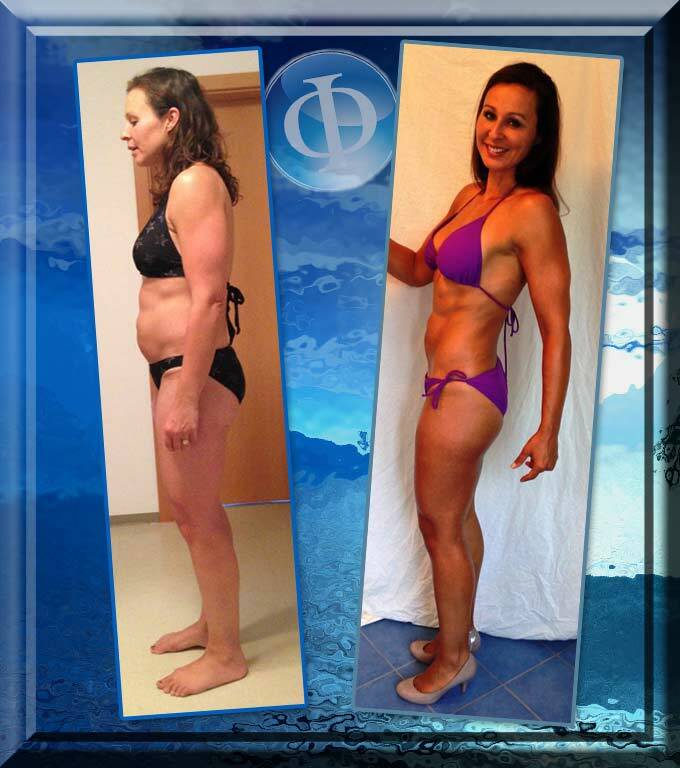 The VT11 results are in and the transformations and final pictures are simply amazing! 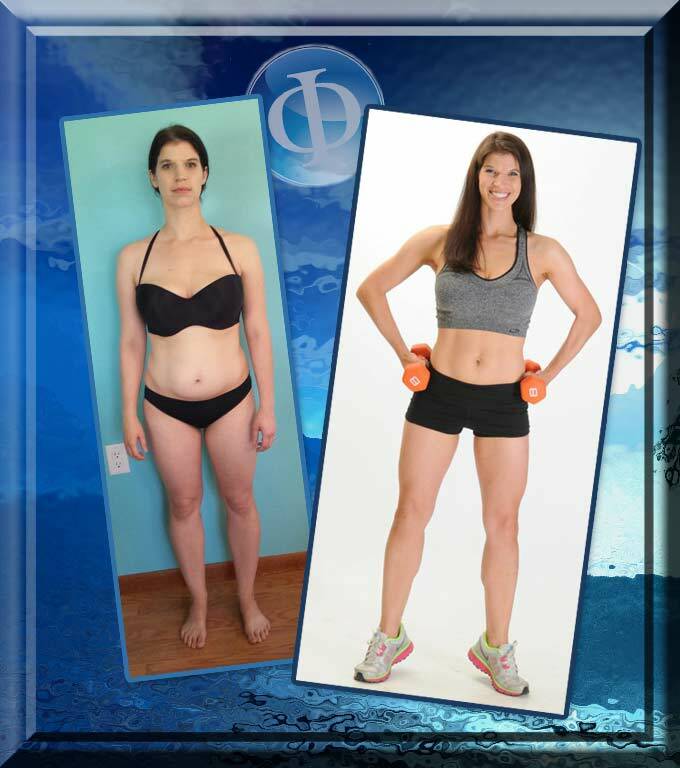 One thing I love about the focus for women in the Venus program is “The focus is proportions and shape (rather than weight loss at all costs or building muscle like a guy)” – John Barban. Congratulations to everyone who entered and finished! This took hard work on the part of everyone and it shows. Venus Factor is not just some diet. 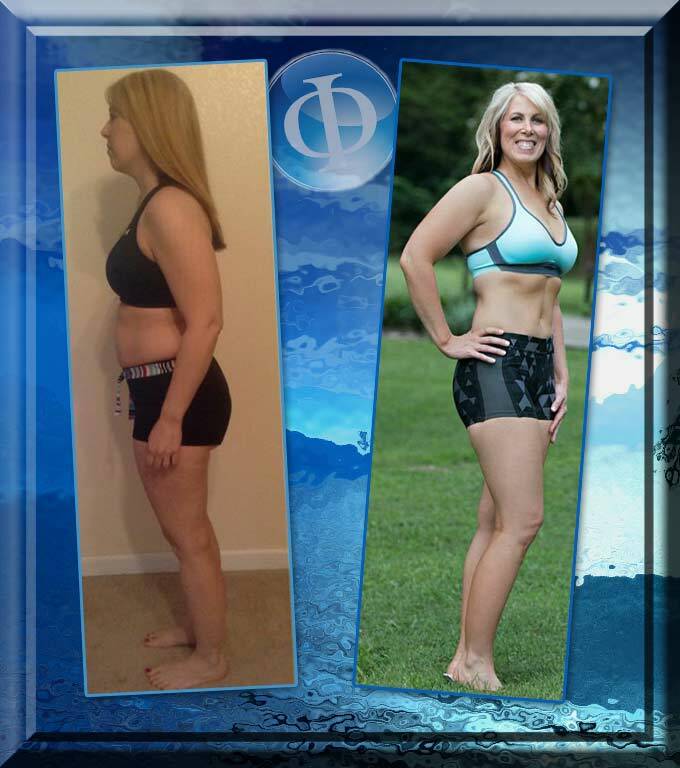 It has been a lifestyle change, for it has provided me with the right tools, skills, and mindset to manage my eating habits and get into the best health and shape of my life. Portion control, calorie budgeting, and lifting heavy are key. Flexibility and freedom to choose what and when you eat reigns. Finding balance in what you eat—and in life—is imperative. The online community is so supportive. In regards to fun I didn’t know exercise could be fun, who knew?! Also the access to the Venus community, woman across the world all having ups and downs in life and sharing with each other. Very empowering! So without Venus yes I could live my life but would it be were it is today…no! No because the goals I talked about still wouldn’t be fulfilled and I have had them for a very long time, with no success from other programs. Thank you Venus coaches and creators, this is a part of me now. I felt stuck in a body I didn’t want. I thought I had tried everything. I lacked willpower to follow through with the hard work of trying to avoid certain foods. I don’t have to avoid anything with Venus. As long as I am accountable for the calories I consume, I can eat whatever I want. How cool is that? The variety in the workouts keep me from getting bored of the same thing day after day. I like change, and I love the change in my body. This is a process that has become my healthy lifestyle. Yay Venus, thank you for giving me my life back. I babysit for my 2 year old grand baby while my daughter goes to work. In that 2 years I have enjoyed eating way too many snacks, cokes and just about whatever I wanted. I did not go to many places, so I just wore my sweats all day and the weight has just crept up on me. I really was feeling depressed, and it was harder to run and play with my grand baby. I decided to do something about It. I joined the Venus contest, and now 12 weeks and 24 pounds later I am seeing muscles I thought were gone forever. John, Roberta and his team have done an awesome job with the program structure because, it offer the flexibility I needed with my busy schedule and hectic life. This program gave me all the tools I needed to obtain the figure I wanted to recover. I felt I was having a personal coach that was leading me and encouraging me through my journey. I never thought it was possible to have the same weight and size again that I have when I was 20 years old. This is real and it works, consistency is the key. I have come to love the Venus Index system because for the first time I have learned that this is a journey that is not just about losing pounds. It’s not even really about losing inches (which is a great side benefit, don’t get me wrong!) but this is about a mindset. Anyone who can successfully do this can do absolutely anything because it’s all about setting priorities and gaining some mental clarity and self control. I seemed to have epiphany after epiphany doing this system. Some days were really really hard and some days were super easy and some days were just days with nothing special about them. I started this contest right during my husband’s third deployment while my kids and I were living in a foreign country and my sister and her husband came to visit and we also traveled to seven different countries while I did this. I feel like I could have blown this out of the water if all of this hadn’t been going on but the thing is, it’s about real life. And these are the things that happen in real life. People don’t exercise and diet in a vacuum. I had to learn to do it during real life, during stress, heartache, confusion, happiness, celebration, and vacation and it’s definitely do-able. I will definitely continue with this system for the rest of my life. I’ve had so many people compliment me and some quite vocally (like today at a soccer game, one of the other moms was astonished to see how much I’d lost and said so very loudly!). Many ask me how I did it and I’ve come to the conclusion that weight loss is like smoking. You wont lose weight until you’re tired of seeing yourself and hurting every day from joints that are taxed by your weight. Once you reach that point, Venus is the way to get your life back! Thank you Venus, John, Roberta, and all the wonderful ladies for the constant support in the blogs. I’m not quite to my goals, but I am very close – closer than I have been in over 20 years!!! The thing that struck a chord in me with Venus was the simplicity in the overriding diet philosophy – I can eat anything I want, provided I am accountable and responsible for it. And I can bank up my calories for special events. I LIKE THAT! It makes the whole thing so much more manageable .. and liveable! I also loved that I didn’t need to plan my own workouts .. just print it out and go do it. Thank you for the Venus program, the incentive of this contest and the incredible community you’ve built. I am so happy with myself and my journey and with my new starting point .. and I can’t WAIT to see what else I can do with this old bod! This category is for any previous Contest winner who wants to participate. These photographs may be used for future book covers or calendars. 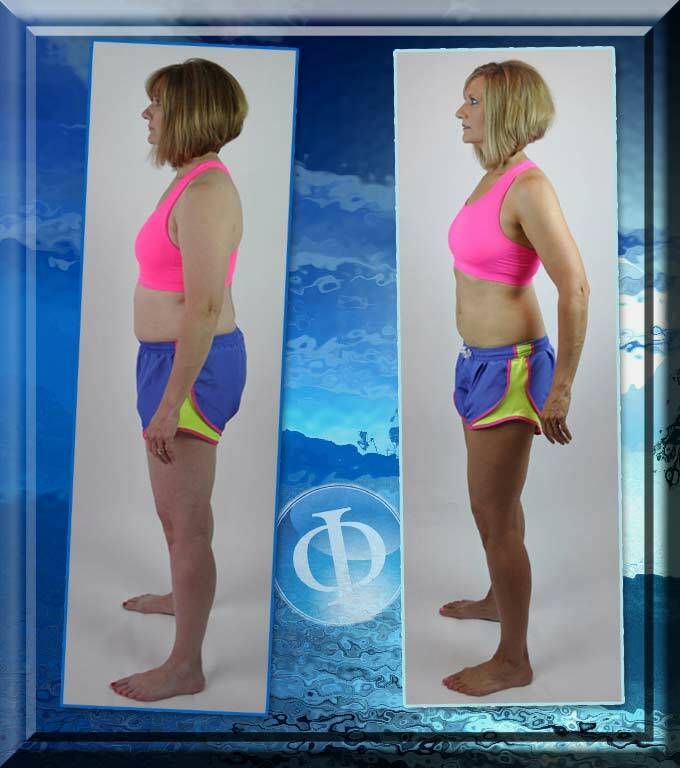 Julie shows us all how we can still have fun at age 53 with the help of the Venus Factor program. Congratulations to everyone for their hard work and great results! Congrats ladies! Your hard work is evident, you all look phenomenal!